1.- Don’t get nervous or anxious. 2.- Chess is a difficult game, even for professional players. 3.- Buy or get a copy of the following books: Rowson: “Chess for Zebras” . Rowson : ” The Seven Deadly Chess Sins” and Hendricks “Move First,Think Later” and read them very carefully . After that, you can continue studying your favourite authors, your opening books, etc. 16.., Nxf6/ 17. Nf3-g5, Nxe4 18. Nxf7! ?, Nf6! (18. … Rxf7/ 19.Qe4)/ 19. Qb3, b5!/ 20. Nh6+ , Kh8/ 21. Nf7+, Rxf7/ 22. Bxf7, Rf8/ 23. h3, c4!/ 24. Qxb5, Rxf7/ 25. hxg4, Nxg4 (and now it is Tal who is posing threats)/ 26. Qh5, Qf4/ 27. Re2, g6/ 28. Qh3, Bc5/ 29. Rf1, Nxf2!! / 30. 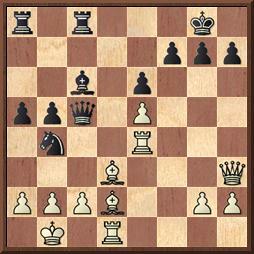 Re8+ , Kg7/ And White resigned. 2.- Karpov-van der Wiel, Amsterdam, 1980. 1) 1. Be3! , Bxe4/ 2. Bxe4, Qxe5/ 3. Qxh7, Kf8/ 4. Bxa8, Ke7/ 5. Qe4, Qc7/ 6. Qb7 Black resigned. 2) 1. Rxe6!, Qxa6/ 2. 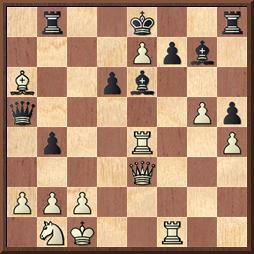 Rxf7!, Kxf7/ 3. e8Q, Rbxe8/ 4. g6, Kg8/ 5. Rxe8, Bf8/ 6. 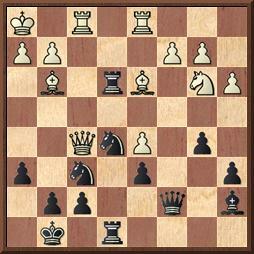 Qe6 , Black resigned. 3) 1…, Rxg3!/ 2. hxg3, Neg4/ 3. Rde1, Rxe1/ 4. Rxe1, Nf2/ 5. Kh2, N6g4/ 6. Kg1, Ne4 / White resigned. Anatoly Karpov and A Team Championship. I consider Karpov as , perhaps , the best ever chessplayer in the history of Chess. It is not only his personal record but also all his contributions to our royal game. My hero’s last feat has been his victory in the Cap d’Adge KO event which took place between October 26th and November 3rd. Karpov’s victory is his 171st first place in tournament play. No other chessplayer has achieved the same if my memory serves me right. Many things could be written about him and his approach to Chess, but my advice is to get one of the many collection of games played by him and study them. And if you wish to understand how he sees Chess, there is a book written by him and Matzukievich (the original German edition has the title of “Stellungsbeurteilung und Plan”. In Spanish it was translated as “The Strategy in Chess” = “La Estrategia en el Ajedrez”). In this book the authors deal with the matter of how to assess positions and design plans. In my opinion, Karpov’s career can be divided into three (other people may prefer four) periods : from 1966 to 1975. From 1975 to 1986 and from 1986 up till today. If the reader think otherwise, it may be absolutely correct too. I have tried to collect everything about Karpov and the result is an enormous amount of paper in the shape of books, thousands of newspaper cuttings, hundreds of Chess magazine pages and now , Internet archives. I have written many articles for Chess magazines, bulletins, etc. , and I have filled notebooks with lots of analysis : about his games and his style. I did this first because I began to do it at an early age. And then because I was fed up with so many biassed interpretations, mistakes in analysis and stupid commonplaces written to fill up space. So, in Chess, apart from books by certain exceptional authors, try also to get the originals by the very player involved. Karpov has written a lot of Chess books and has analysed many of his games in them. To me, the best ones are those which appeared in the late 70’s of the past century, analysing games from the first part of his career. But this is a matter of taste. 1. Nf3 , Nf6 2. g3, d5 3. Bg2, c6 4. c4, g6 5. b3, Bg7 6. Bb2 0-0 7. d3, Bg4 8. Nbd2, Nbd7 9. 0-0 , Re8 10. h3, Bxf3 11. Nxf3, e5 12. e3, Qa5 13. cd5, cd5 14. Qd2, Qxd2 15. Nxd2, e4 16. de4, Nxe4 17. Nxe4, de4 18. Rad1, Nc5 19. Ba3, Rac8 20. Rc1, b6 21. Rc4, f5 22. Rfc1,a5 23. Bxc5, bc5 24. Rxc5, Rxc5 25. Rxc5, Re5 26. Rc7, Bf8 27. Ra7, Be7 28. Bf1, Kg7 29. Bc4, Kf6 30. h4, h5 31. Kf1, Kg7 32. Ra6, g5 33. hg5, Bxg5 34. a4, h4 35. Bb5, hg3 36. Rxa5 , gf2 37. Kxf2 , Rd5 38. Ke2, f4 39. Ra7, Kf6 40. ef4, Bxf4 41. Bd7, Bd6 42. a5. Ke5 and White resigned. The following game is a masterpiece: it deserves close study. 1. e4 e5 2. Nf3 Nc6 3. Bb5 a6 4. Bxc6 dc6 5. 0-0 f6 6. d4 ed4 7. Nxd4 Ne7 8. Be3 Ng6 9. Nd2 Bd6 10. c3 0-0 11. Qb3 Kh8 12. N5 Bxf5 13. ef5 Nh4 14. Qxb7 Qd7 15. Qb3 Nxf5 16. Nc4 Rfe8 17. Rad1 Rab8 18. Qc2 Rb5 19. Rfe1 Nxe3 20. Nxe3 Rbe5 21. g3 Qe6 22. b3 Kg8 23. Ng2 Re2 24. Rxe2 Qxe2 25. Rd2 Qf3 26. Kf1 re5 27. Qd3 Qxd3 28. Rxd3 Kf7 29. Ne3 Ke6 30 Nc4 Rh5 31. h4 Bc5 32. Nb2 Rf5 33. Rd2 h5 34. Nd3 Bd6 35. Re2 Kd7 36. Re3 g5 37. c4 c5 38. Kg2 c6 39. f3 gh4 40. gh4 Bf4 41, re4 Bd6 42. f4 and Black resigned. On the other hand, the following game is from the Spanish Team Championship ( León , Spain November 2012) , with a wealth of GMs like: Ponomariov, van Weli, Edouard, Anish Giri, P. Harikrishna, Cheparinov, M. Marin, Hamdouchi, Bauer, Sargissian, Ganguly, Kovalyov, Alina L’Ami, etc. ,their Spanish GM fellow companions and several IMs too. The winner was Sestao Chess Team, a team from the Basque Country in northern Spain. 1. d4, Nf6 2. c4 g6 3. Nc3 d5 4. cd5 Nxd5 5. e4 Nxc3 6. bc3 Bg7 7. Bc4 c5 8. Ne2 Nc6 9. Be3 0-0 10. 0-0 b6 11. dc5 Qc7 12. Nd4 Ne5 13. Nb5 Qb8 14. Be2 bc5 15. Rb1 a6 16. Nd4 Qc7 17. Nb3 Rd8 18. Qc2 c4 19. Nc5 Nd3 20. Nxd3 cd3 21. Bxd3 Qxc3 22. Qxc3 Bxc3 23. Bc4 Bd7 24. Rfc1 Bf6 25. Kf1 Bb5 26. Be2 Bd4 27. Bxd4 Rxd4 28. Bxb5 ab5 29. Rc2 Rxe4 30. Rxb5 Ra7 31. g3 Rea4 32. Rbb2 g5 33. Kg2 Kg7 34. Re2 f6 3. Re6 Kf7 36. Rbe2 h5 37. h3 h4 38. g4 Ra3 39. Kh2 R7a6 40. Rxa6 Rxa6 41.Kg2 Ra3 42. Rb2 e5 43. Rb7 Ke6 44. Rb6 Kf7 45. Rb7 Kg6 46. Rb2 Ra6 47. Re2 Kf7 48. Rd2 Ke6 49. Rb2 Kd5 50. Rd2 Ke4 51, Rb2 Ra4 52. Re2 Kd5 53. Rd2 Ke6 54. Rb2 Ra6 55. Rd2 f5 56. gf5 Kxf5 57. f3 Ra3 58. Re2 Ke6 59. Rd2 Kf6 60. Rb2 Ke7 61. Rd2 Ke6 62. Kf2 e4 63. fe4 Rxh3 64. Rd5 Kf6 65. a4 Ra3 66. e5 Ke6 67. Rd4 Kxe5 68. Rb4 Kf5 69. Rc4 Kg6 70. 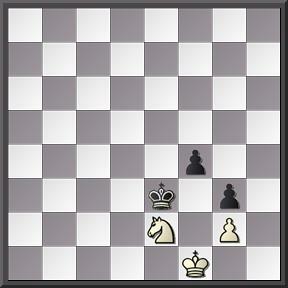 Kg2 Kh5 , and White resigned.